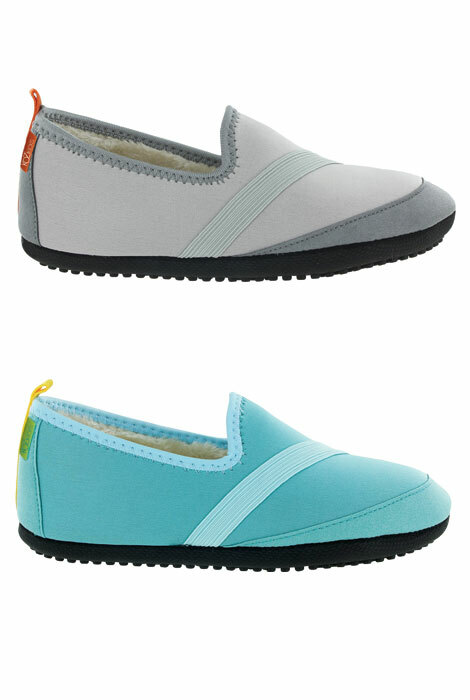 Soft and cozy indoors, warm and safe outdoors — get the best of both worlds with these KoziKicks® active lifestyle slippers. 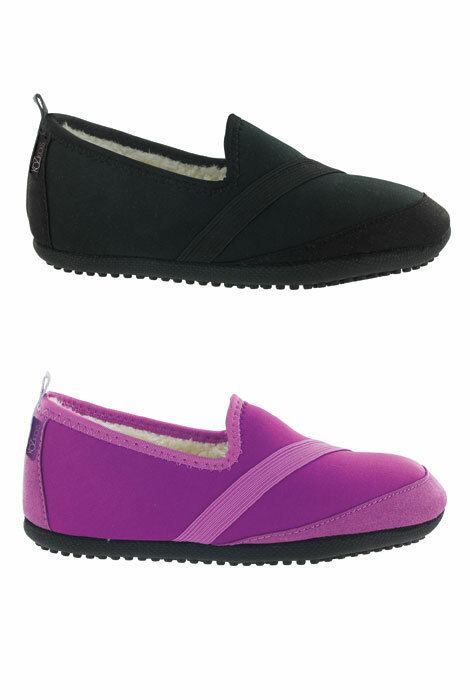 You'll love how the soft yet durable upper is lined with plush faux shearling for breathable warmth indoors or out. The naturally contoured Flex Form sole is designed for a woman's foot, allowing for free range of motion with a fully cushioned insole for maximum comfort. A rugged, non-slip rubber grip adds safety to your step as the outdoor slipper's unique toe guard helps prevent dragging and excessive wear. Specify color: teal, purple, grey or black. Specify size: small (fits 5 1/2–6 1/2), medium (7–8), large (8 1/2–9 1/2), XL (10–11). Fits snug; order up a size. Hand or machine wash cold; air dry. Rugged, non-slip rubber grip adds safety to your step as the unique toe guard helps prevent dragging and excessive wear. Specify color: teal, purple, grey or black. Specify size: small (fits 5 1/2–6 1/2), medium (7–8), large (8 1/2–9 1/2), XL (10–11). Very comfortable and warm. I would recommend to anyone! Had foot surgery and need a comfortable pair of shoes to slip in to.